In Milwaukee, road crews are experimenting with plentiful cheese brine, left over from cheese making. New York and Pennsylvania are among states trying sugar beet juice, while molasses and potato juice are flavoring roads elsewhere. BUFFALO, N.Y. — A splash of beet juice, a dollop of molasses, a squeeze of cheese brine. In the coldest weather, the recipe for safer roads often goes beyond the usual sprinkling of salt. 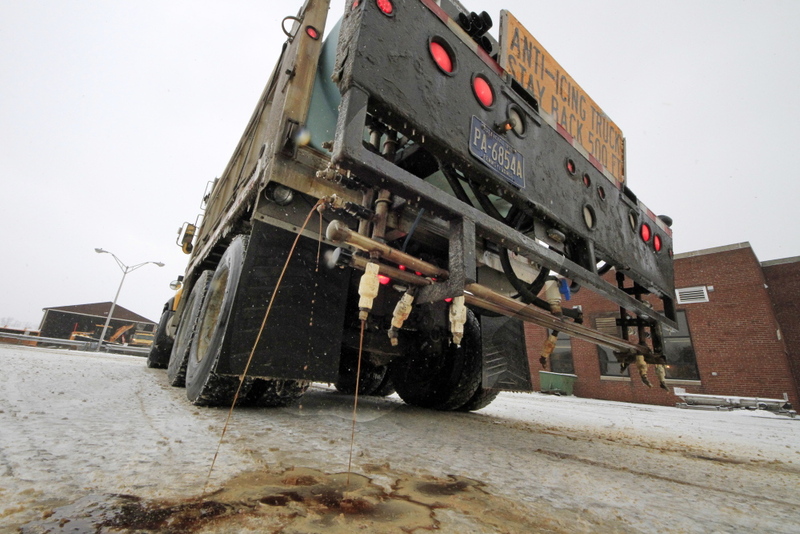 Across the nation’s snow belt, transportation officials are in the market for cheap and environmentally friendly ways to make rock salt work better by keeping it on the roads longer and melting ice at lower temperatures. Plain salt is largely ineffective below 16 degrees. Additives can keep it working in temperatures as low as minus 25. In Milwaukee, road crews are experimenting with plentiful cheese brine, leftover from cheese making. New York and Pennsylvania are among states trying sugar beet juice, while molasses and potato juice are flavoring roads elsewhere. 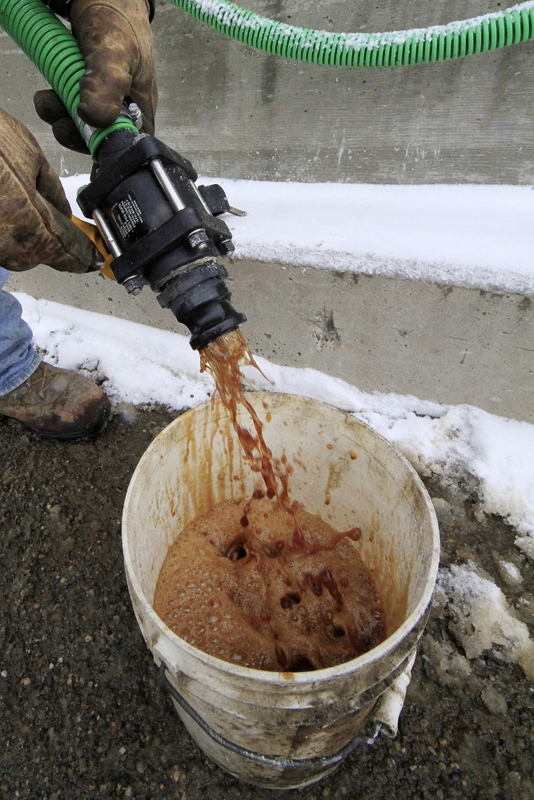 City officials are looking at whether the brine, free except for transportation costs, can replace the 70-cents-a-gallon liquid calcium chloride now used as a pre-treater and melting enhancer. In addition to wetting the salt, making it stay on the roads better, the brine is believed to lower the temperature at which the salt works. The brine’s got a bit of a cheesy smell up close, Tews says, but in the few times it’s been used, no one has complained. The New York State Thruway Authority began a pilot program three years ago using another waste item – sugar beet juice from the sugar refining process. Scientifically speaking, carbohydrates in the beet juice help prevent ice from bonding to the road. Used to pre-treat both the road and salt, the mixture of 80 percent brine and 20 percent beet juice also keeps the salt from scattering as much. That reduces by about 30 percent the amount of salt needed, officials said, which in turn cuts corrosion on vehicles, roads and vegetation. This winter, crews plan to use 100,000 gallons of the beet-brine mixture on the 570-mile Thruway system. And officials promise the brownish mixture (no, it’s not beet red) won’t stain the roads. “Molasses or beet juice, these materials are all very thick and they allow the liquid brine to stick to the salt without activating the salt,” said Rob English, president of Chemical Solutions Inc. of Franklin, Mass., which produces ice melting products including molasses-containing Magic Salt. Smithson said additives have been used for about 10 years and predicted more on the horizon as chemists experiment with whatever is available. Wastewater from hydraulic fracturing, technology used to drill for natural gas using high volumes of fluid, is among substances being looked at, he said, though it’s not believed to be in use anywhere.